Home » Lung Cancer » Are insurance computer glitches contagious? Are insurance computer glitches contagious? Recently I received a $4000+ bill from University of Colorado Hospital (UCH) for my December 2013 PET/CT scan and labs. When I receive any bill from UCH, it means my healthcare insurance didn’t pay for something. The same procedures have been covered completely for all previous UCH visits (most recently in October 2013), and my health insurance coverage has not changed in years. I called UCH, and was told my insurance carrier said I did not have coverage at the time the procedure was performed. My carrier, Blue Cross Blue Shield of Illinois (BCBSIL), helped me resolve the problem by calling UCH directly while I was on hold (thanks for the outstanding customer service, BCBSIL). Together BCBSIL and UCH determined the UCH computer showed the wrong BCBSIL member number for me–not just a digit or two wrong, but completely wrong. I decided to raise the issue when I’m back in Denver on January 27, and put it aside for now. It was probably just a data entry error. Today I read this Huffington Post article from January 10, 2014. It tells of a woman who signed up for a new Obamacare Anthem policy in December through an insurance broker, but her hospital was unable to confirm that she had insurance coverage. The story caught my attention for two reasons: the UCH computer has always shown my insurance coverage as being “Anthem,” and this woman’s insurance issue happened about the same time as mine. Fortunately, her issue was also resolved in her favor. Now, however, I’m wondering if computer glitches associated with the online healthcare exchanges might be affecting computerized insurance records of longstanding customers. I have no proof, and no way to investigate this theory, but the thought is unsettling. 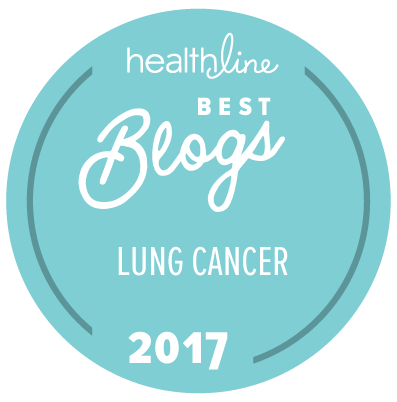 This entry was posted in Lung Cancer, Patient Advocacy, Technology. Bookmark the permalink. I’m glad the issue was resolved! I’m hearing more and more negatives about health insurance companies lately, so this doesn’t surprise me. Sure looks contagious to me! I think it seeped into the pharmacy side a little later.